When Bella’s beloved half-brother Aar dies in a terrorist attack in Somalia she’s in Rome, living her life as an aloof fashion photographer with no ties and responsibilities. But now her teenage nephew and niece are effectively orphaned (their mother Valerie walked out on them years ago) she must decide whether she can come to their rescue and be their guardian. She travels to Nairobi where the two are in school but confusion and tension lies ahead when Valerie resurfaces bringing her own baggage and claiming she wants full custody of her children. Hiding in Plain Sight is a story about a family’s grief and different and sometimes strained familial relationships. Salif and Dahaba feel like realistic teenage siblings, they argue and Salif often finds his younger sister annoying. While they both love and like their Aunt Bella they’re unused to her being their main authority figure and all three of them have to figure out where they stand with each other. Then there’s Valerie, an absent mother who’s often needy, selfish and quick to anger. She’s an unlikeable character for the most part but slowly you get to learn about her past and why she acts the way she does – though the story never really condones her actions. The dialogue is a bit stilted in Hiding in Plain Sight. The language characters’ use is often very formal, even from the teenagers. This may be a cultural thing and perhaps a sign of respect as most the characters are Somali but it is still a bit weird seeing such formal language between close friends and family. The story largely follows Bella’s point of view though there are moments in the middle of chapters where it switches to someone else. This can be a bit jarring but it does offer an opportunity to see other characters’ thoughts and actions first-hand. Also sometimes characters reminisce about their past and there’s not always clear markers that the story’s taken a leap backwards, it’s an interesting way to learn more about the characters without it being a blatant info dump but it’s still a little confusing sometimes. Hiding in Plain Sight is not only a book focusing on a family suffering a huge and sudden bereavement but it pulls in themes of identity, heritage and sexuality. Bella is Italian-Somali and her niece and nephew are Somali-British and have lived in Kenya for years. They all know multiple languages to varying degrees of proficiency and each have opinions on their identity and if their current home country sees them as an equal citizen or not. It’s an interesting look into how identities work, how religion and culture effect people in different ways and how you can choose how much you want to identify with a part of your heritage. 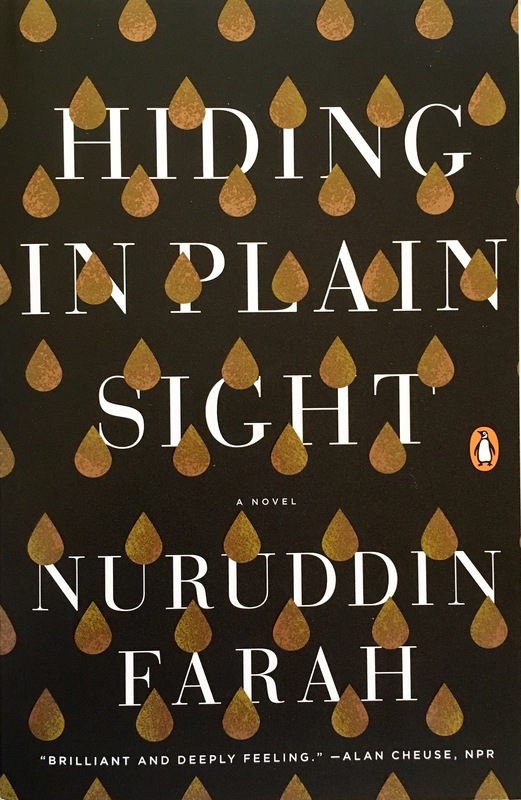 If you like stories focused on a family dealing with tragedy as well as themes of identity, culture and sexuality then you should give Hiding in Plain Sight a go. I read this book last year. I do agree with you about the dialogue and narration. However, my main issue with it was the setting. This made me not like the book. I have heard great things about Nurrudin’s books so I can’t wait to read something else by him. Great review!